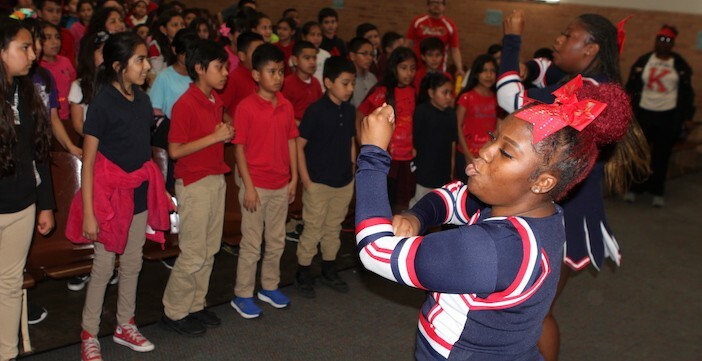 Kimball High School cheerleaders and band members visited nine feeder pattern elementary schools to motivate students to ace the STAAR test. Kimball cheerleaders teach elementary students a cheer. L.O. Donald Elementary School Principal Kathryn Carter called the Kimball students inspiring for their younger counterparts.